The first-ever Cookley CC girls' team. 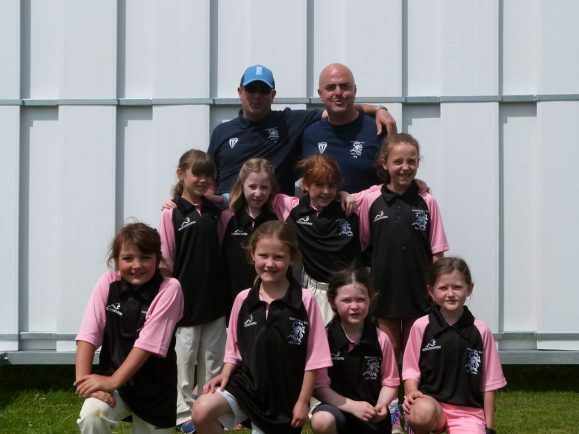 A PIECE of club history was made when Cookhill Cricket Club’s first-ever all-girls’ team took to the field. The girls, all aged under eight who all attend training together every Friday evening, were led out by captain Issy Fennell. Matilda Hirst scored the first ever runs for ‘The Hens’ who finished on 226 against an older Alvechurch team. Tight bowling from Freya Hirons, Ellie Donnelly and two wickets for Issy Weavinh kept the game close but Alvechurch finished on 228 in reply. For more details about junior cricket at Cookhill, visit the club’s Facebook page or come to junior training on Fridays between 6.30-8pm.